Must Watch: Hit Em Up Freestyle feat Female Rapper Alliyah Brooklyn 🎶 – What's in your cup? 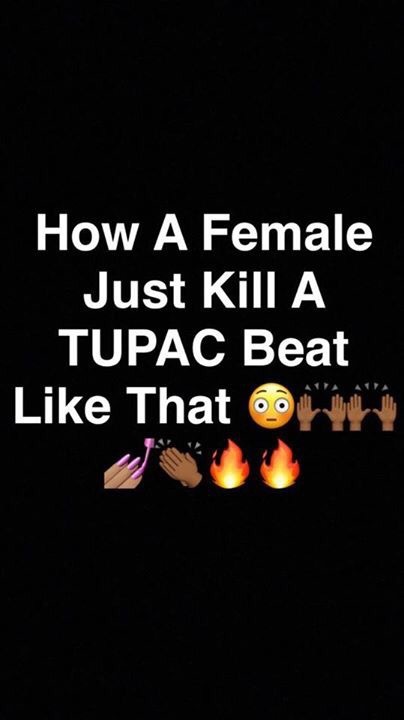 ​​Now normally I wouldn’t advise ANYBODY to mess up greatness because that’s just what Tupac is to me. Tupac is the real GOAT and can’t NOBODY tell me otherwise! However this female rapper took me by surprise when she freestyles over his beat. What’s your thoughts WIYC readers? Hot Or Not? wellll that’s TEAAAAAA ☕️ and we will drink to that and you should too! Come take a sip! Teresa Martin, 19 year old Chicago Teen found dead mother speaks out!